HOME PRODUCTS &AMP; SERVICES DIRECTORY OF SUPPLIERS DESIGN TOOL, INC.
Design Tool Inc. is a worldwide leader in automatic screwdriving technology. The DTI team has a combined 100 years of experience in the design and manufacturing of automatic feeding and driving equipment. 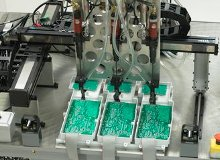 Design Tool Inc. is a North Carolina-based company that provides automatic screwdriving solutions to a wide scope of industries such as automotive, electronics, metal, plastics, telecommunications, wood, and many others. 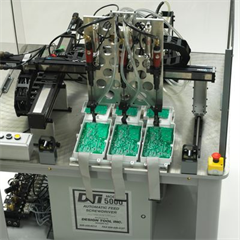 DTI has over 15,000 machines that operate in over 16 countries around the world. Their network includes 50 distributors and reps that sell and service their equipment and ensure the customers' satisfaction. Design Tool is a leader in the industry because of its five patents on its feed mechanism. Their patented feed mechanism has only one moving part. The twist-lock cover permits fast access to the feed mechanism allowing it to be disassembled and reassembled in seconds without the use of tools. 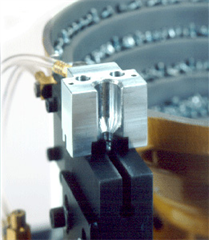 Their patented multifeed system allows them to feed up to 10 multispindle screwdrivers from one hopper. 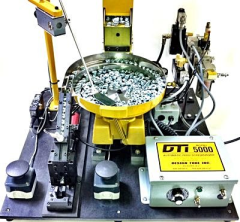 The DTI Model 5000 is the world's simplest automatic screwfeeder on the market that is built for durability and reliability of performance during production. Design tool prides itself for keeping replacement parts in inventory at the factory or distributor locations. 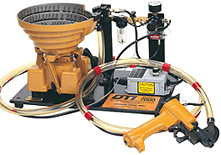 Many parts are standard commercial parts and are available at local maintenance supply houses. Design Tool also builds multi-spindle screwdriving systems that are custom-designed as a turnkey system or supplied as components. They also design X-Y-Z Robotic computerized, and PLC controlled units to drive multiple fasteners at the same time. 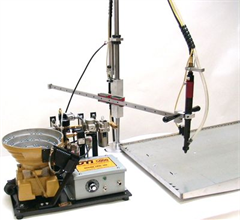 Please call DTI at 800-627-3674 to increase productivity 40-50% in the assembly process! View More Announcements from Design Tool, Inc.